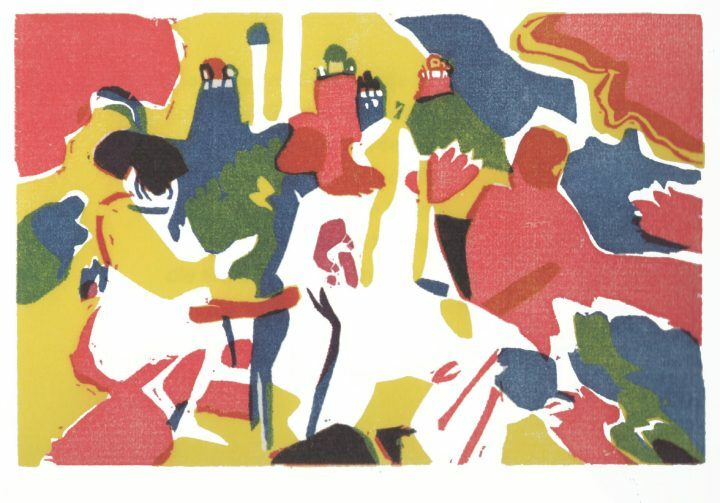 Evocations of color dominate these ruminative prose poems. 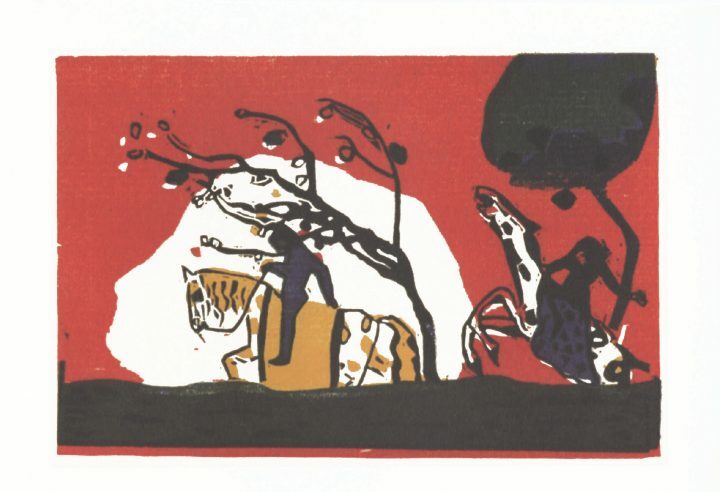 Vasily Kandinsky’s only published book of poetry, prose poems titled Klänge (Sounds) (ca. 1912–13), is available for the first time with its original art in color (a previous Yale University edition only presented the black-and-white prints), courtesy of Shearsman Books and translated by Tony Frazer. In addition to his significant contributions to modern art and important theoretical works such as Über des Geistige in der Kunst (Concerning the Spiritual in Art), Kandinsky was clearly a talented poet, with other poetic attempts that appear in his papers, but remain unpublished in book form. These compositions reveal his interest in language, in relation to the visual image. Blue, Blue rose up, rose up, and fell. On every corner there was a din. Fat Brown got caught, apparently for all eternity. The very best of them — such as “Open” below — play with language in a way that surely must have attracted his Dadaist friends, who came together to read these works. Now slowly disappearing in the green grass. Now stuck in the grey muck. Now slowly disappearing in the white snow. Lay long: long fat black tubes. Here is a poem that is anything but “open,” as everything and everyone is trapped in beautiful repetition — the long lay of the grey muck that becomes almost a celebration of nature, while also referencing the artist’s paint “tubes” which abstractly “capture” the very figures the painting creates. In its semi-nonsense repetitions this poem might almost remind one of works by Gertrude Stein. again, again, again. Ba-ack . . . Ba-a-ack . . .
didn’t understand himself why he said it. door! Or the fold will tear the roof off! Here we truly see Kandinsky represent the spiritual in art, a theme that runs through his visual and written oeuvres. 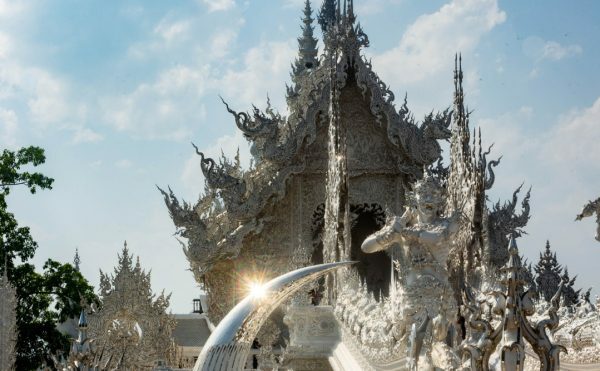 Drawing from the Old and New Testaments simultaneously he tells us: see the spires or God might tear off your roof. 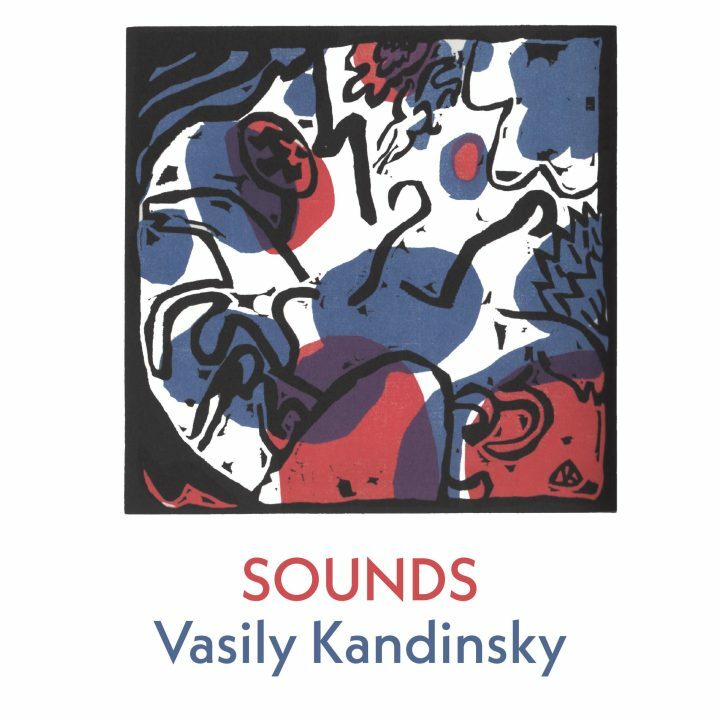 Sounds by Vasily Kandinsky, translated by Tony Frazer, is published by Shearsman Books and is available from Amazon and other online retailers.